Dave Hause’s new record ‘Kick’ is simply ten songs about being strong, understanding that we all struggle and kicking back against the things that kick you when you’re down. But underneath the lyrical meaning, what we actually have here is an album that’s actually very, very good. And I’ll explain why. The oddly titled ‘Eye Aye I’ begins the EP very suddenly. Some satisfying strings and keys and thought provoking lyrics eventually give way to a full band launch ala Bruce Springsteen. ‘The Ditch’ definitely has a more full bodied feel to it, and is irresistibly catchy. It’s definitely a rock song, albeit a soft one, carrying Gin Blossoms vibes if anything. And it’s the first time Hause has worked with his brother to open discuss their own struggles with depression. Hats off to them both for this. ‘Saboteurs’ has a more plodding, reserved feeling to it, whereas ‘Civil Lies’ has a rhythm that you can’t help to move to. Both, however, showcase excellent vocal work and powerful lyrics. ‘Weathervane’, then, brings back the straight up rock. Perhaps not the most complex on the record, but certainly catchy as hell. The penultimate track, ‘Paradise’, is another rocker as well. Predictably, those are the the ones I love the most. But I’m predictable that way. ‘Warpaint’ is perhaps my least favourite track, despite the somewhat deep lyrical content (something that usually makes me love a song). ‘OMG’ is like the child of a 90’s Goo Goo Dolls song and Springsteen’s ‘Born In The USA’ album. This is good or bad depending on whether you like 90’s Goo Goo Dolls and ‘Born In The USA’. The record closes with ‘Bearing Down’. It’s very, very moving lyrically, but not the best song on the record by far. ‘Fireflies’ is a song that deserves its own paragraph. I’d heard it prior to delving into this EP, and it’s a true beauty. Reminiscent, summery and truly spectacularly written. This is a song to remember, and a song I’ll certainly come back to. It’s sad, but in a happy way. That’s a hard thing to achieve, but Dave Hause has hit it perfectly. Overall, it does sound like a Goo Goo Dolls meets Bruce Springsteen meets Gin Blossoms affair, but that’s only on the surface. 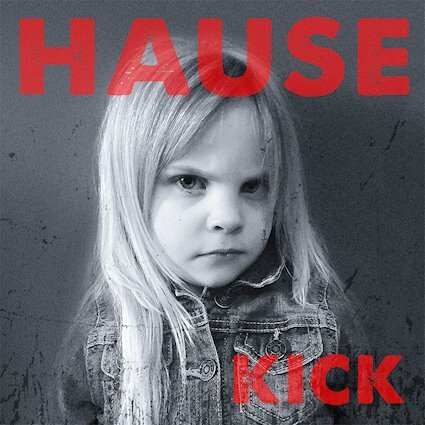 Hause’s new record is truly very good; entertaining and meaningful in equal value. And, despite the fact it reminds me of a handful of different artists, it’s also unique. And that’s what it should be, in the same way a fine wine is. But you can’t drink the album, only absorb it through your ears, and I’d certainly recommend you do so. Acoustic, Alternative, Alternative Rock Music, Rock Music.